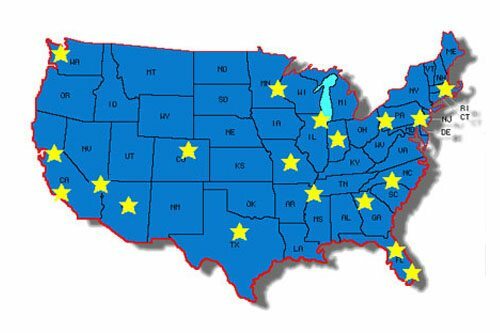 With 19 strategically located warehouses - you'll get your order quickly no matter where you are located! levels are constantly changing, our location map shows you the closest warehouse we'll attempt to ship from. 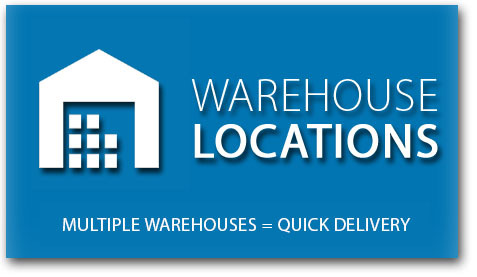 Whether you order online, by phone, email or fax, we'll always ship to you from the closest in-stock warehouse. If delivery time or "ship from" location is of importance to you, be sure to see our Shipping Options page. Some products are only stocked in certain warehouses, so feel free to call us for any "qty on hand" questions. Fun Fact: When you plan ahead, you not only cut costs, but have less stress!